Arriving home to the most beautiful turquoise package full of luxury skincare was definitely the perfect ending to a fun trip. I was so eager to dive in and try everything out. Nothing in this world prepares you for the heavenly scents that greet you when un-boxing this gift. It takes your breath away and leaves you with a warm spa like feeling inside. 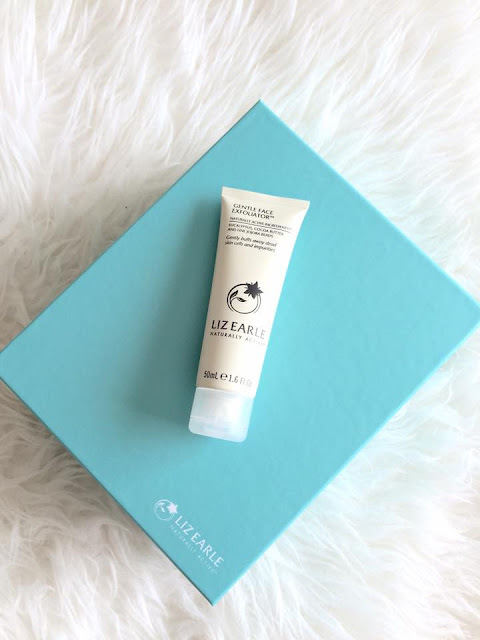 As a little girl I suffered with tremendously sensitive skin but I was lucky enough that my Mum used Liz Earle products and had done enough research to be confident using them on me. 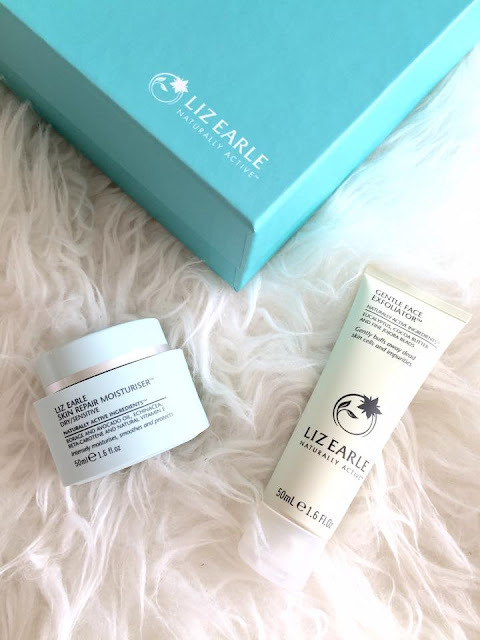 To this day we both have Liz Earle products in our beauty draws and I especially consider the brand as my holy grail skin care. Enriched with essential oils and active ingredients these products tick all the boxes and you will be certain to find a product that suits your own skins needs. Cleanse & Polish - Hot Cloth Cleanser is a multi-award winning product over the last number of years. There are very few magazines that I pick up and don't see this product mentioned and recommended. It has a thick creamy consistency which almost feels like a moisturizer when applying it to your skin. It gently works to deeply cleanse your skin ridding of all make up and oils that have built up during the day. Leaving your skin clean, fresh and radiant. I use this cleanser in the morning and at night. I apply one pump onto my fingertips and gently apply it to my dry skin using soft circular like motion upwards towards my forehead. Cleanse & Polish has a two phase action. The cleansing phase gently works to break down daily grime, make up and stubborn mascara. Phase two is the polishing phase. 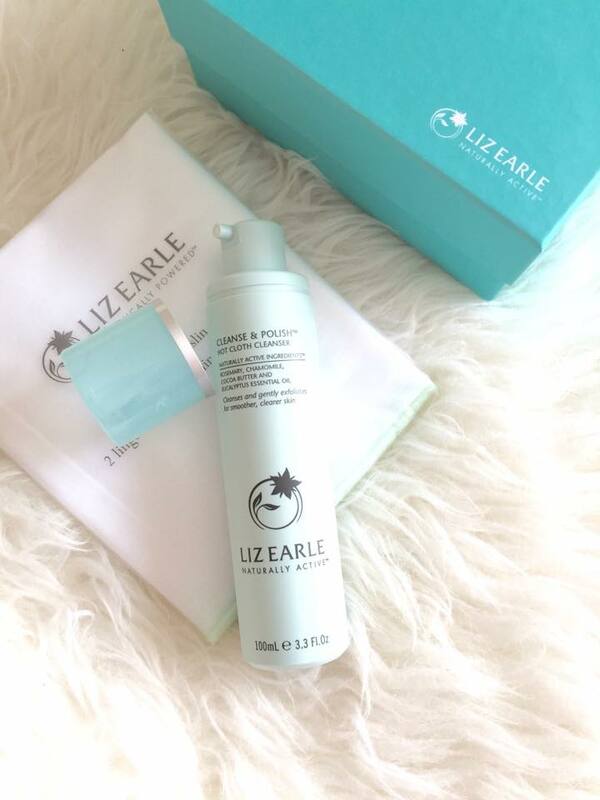 Using a Liz Earle pure muslin cloth soaked in warm water to gently polish your skin removing the cleanser and dead skin cells leaving your skin soft and glowing. With ingredients such as eucalyptus and cocoa butter you can't go wrong. This cleanser also contains beeswax which has protective properties and also helps to relieve chapped skin. Perfect for our unpredictable climate. Eucalyptus has therapeutic actions such a antibacterial and decongestant. It is uplifting which leaves you feeling fresh and revitalized. Rosemary is invigorating and stimulating which will give you a fresher more dewy complexion and Chamomile is a gentle oil which soothes the skin. The packaging of this product is beautiful yet minimal. It is easy to keep these products clean and hygienic. There is noting that stresses me more when it comes to skincare is tubes where you can't get the product out after a week of using them even through you know there's still loads in there. 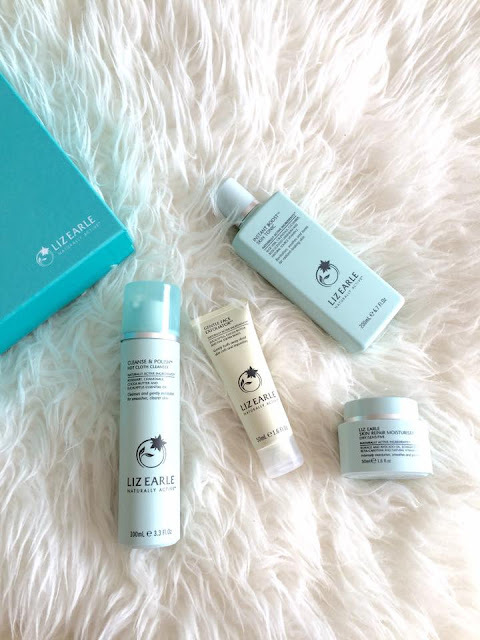 Thankfully for me Liz Earle skincare never disappoints. The second step to your daily essentials is the Instant Boost Skin Tonic. I know there is a lot of queries to whether or not you really need to use a toner. To be honest a lot of toners dry out my skin due to the large percentage of alcohol which they contain. But personally I prefer to use them as I feel that there is something missing in my routine if I don't. This toner in particular is gentle on the skin and is alcohol free. It also leaves a small layer of moisture. The Instant Boost Skin Tonic is heavenly scented. It refreshes, revitalizes and brightens the skin. I love using this especially after working out as it really helps to cool your skin after a hard session. It contains naturally active ingredients such as Aloe Vera which is cooling while also hydrating. Perfect to use after been in the sun. It also contains Calendula which is calming and soothing. Cucumber extracts includes traces of potassium, silicon and sulphur. It can also be used as a compress as it is soothing and calming. Geranium oil is a luxurious oil which is used for balancing and toning the skin. As part of this gift set the Gentle Face Exfoliator was the free gift. It is 50ml but can also be bought in sizes 15ml and 70ml. All sizes are perfect for traveling. 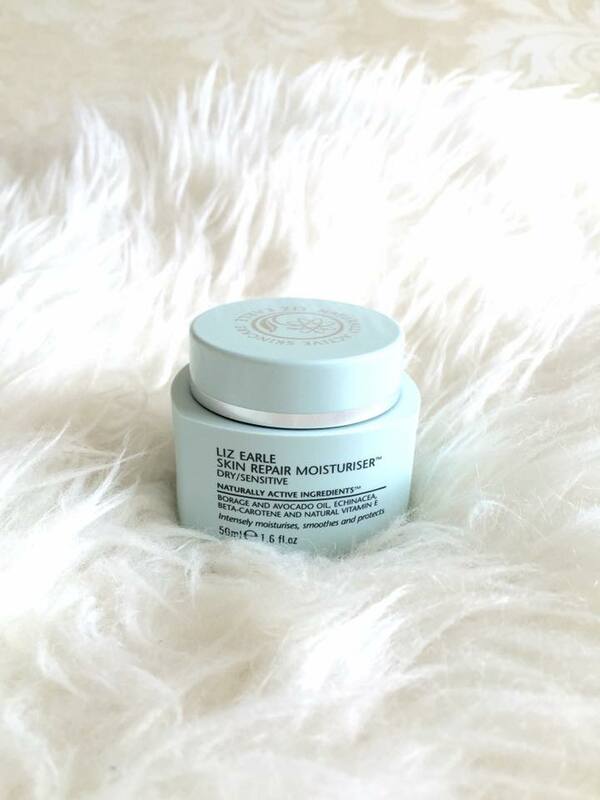 This is an other aspect that I love about Liz Earle products, you can buy them in so many different sizes which are still large enough for home use if you so wish. The Gentle Face Exfoliator also contains the Liz Earle signature scent. Like the Cleanse & Polish is also contains cocoa butter and eucalyptus. It also contains fine jojoba beads which ensure a gentle exfoliate. This exfoliator is guaranteed to give your skin a boost when it needs it the most and leaves it with a seamless glow. Perfect if your skin is dull and lacking in vibrancy. I exfoliate my skin after cleansing. You can do this step after toning if you wish but sometimes your skin can be dry to touch so the exfoliator may be tougher on the skin. As I was saying I apply the exfoliator on damp skin working upwards in circle like movements. As you work the exfoliator into the skin the jojoba beads melt while buffing away dead skin cells, removing impurities and congestion. Almond oil is another ingredient in this product which helps keep the skin soft and nourished. First of all the packaging of this product is so beautiful and perfect for travel or even in your handbag. I love how simple yet pretty it is and how it looks on my dressing table. As soon as you open the pot you can't help but take a deep breath in. It is rich and creamy it consistency. It is intensely moisturizing yet it smooths and protects the skin. Rich in active ingredients including natural vitamin E, beta - carotene, borage and avocado oil your skin will be soothed, softened and always have a radiant glow. One of my favourite things about this moisturizer is the strong staying power of the scent the essential oils give. Not only is my skin reaping the benefits of this product all day, I can smell it beneath my make up which makes me feel fresh and uplifted.